In all of it’s magnificent feta glory – here it is. 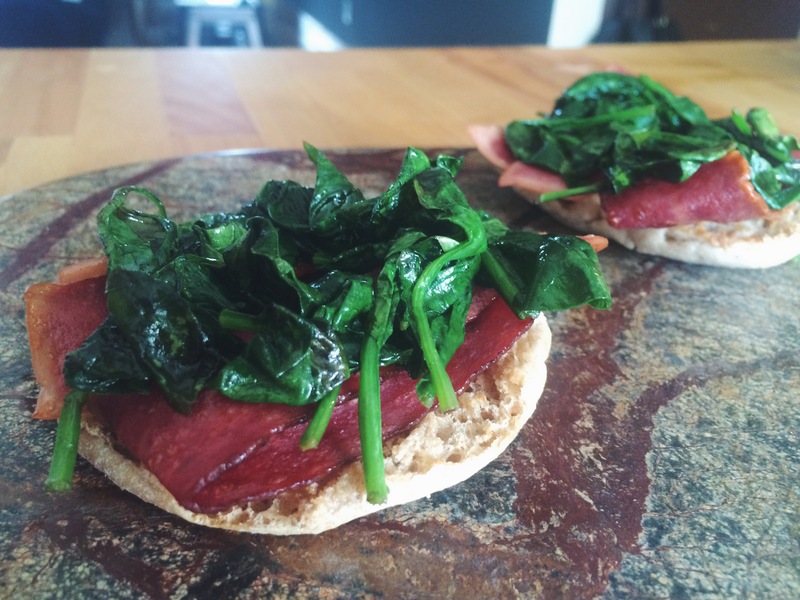 A new breakfast winner. Here’s the deal. Eggs Benedict is a classic, but lets be honest, Hollandaise sauce is not that easy.. you know, using double boilers and all that jazz. 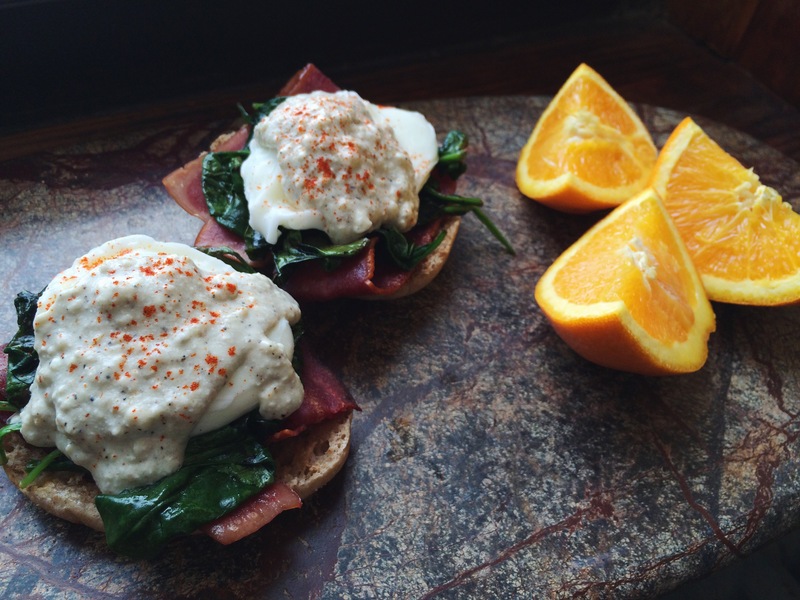 So this is just my approach to a simpler benedict with a Mediterranean flare. 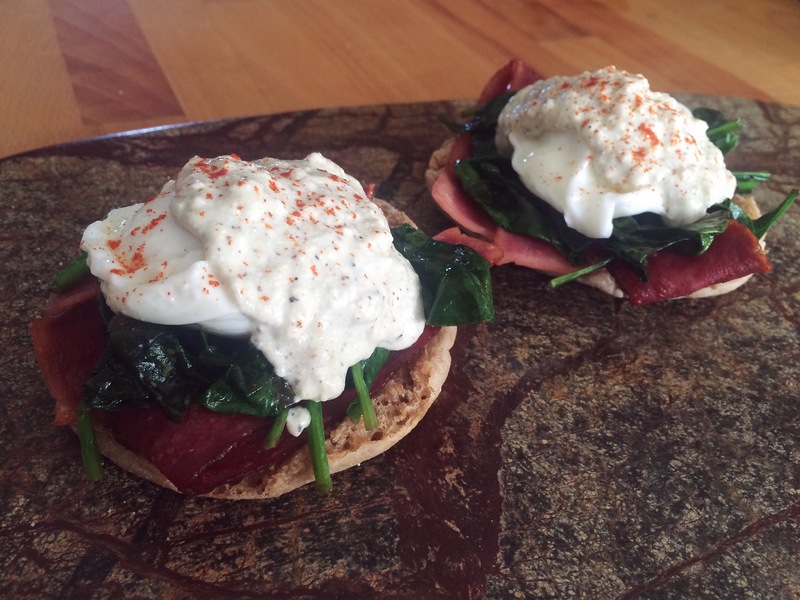 This weekend, I bought some fresh sheep feta, heavy cream, turkey bacon, spinach, eggs, and english muffin. Go buy the same thing and we can get busy! In a small sauce pan, on medium heat, dissolve feta into cream. Try to stir it in well, but it will still be slightly crumbly. Add remaining ingredients, and whisk while it simmers for a few minutes. 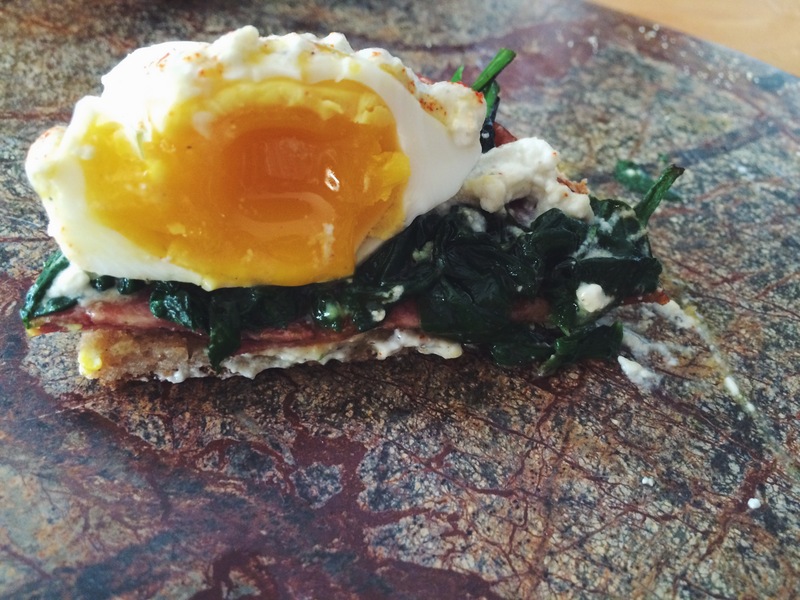 Dry your poached eggs with paper towel, toast the muffin, and now you’re ready to assemble! More recipes coming this week!